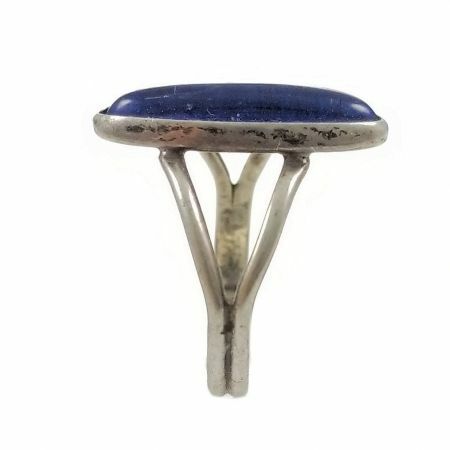 Description: A very sweet and simple designed blue cabochon ring. 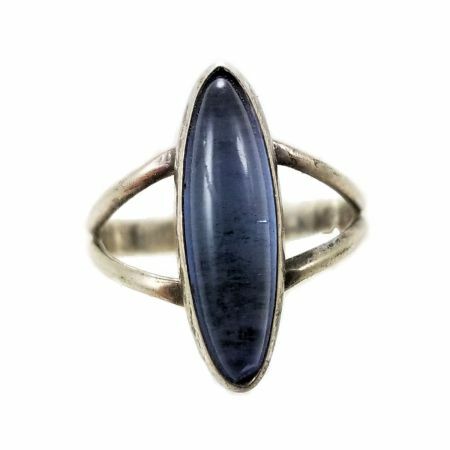 The navette shaped sapphire blue colored glass cabochon is 16x5.5mm and is bezel set in a closed backed setting on a split shank. It is marked sterling. 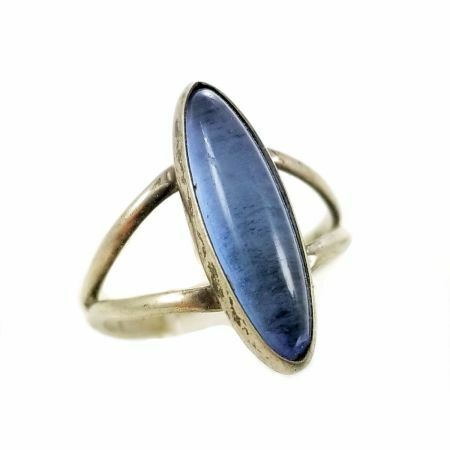 This ring is a size 3 1/2 and is sold in this size only. 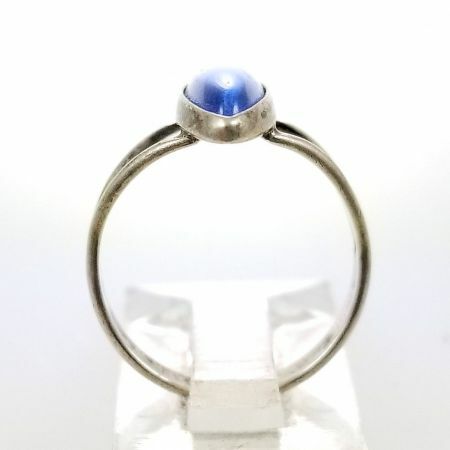 Measurements: Ring size 3 1/2. Measures just under 3/4" at the widest by 1/8" in height.